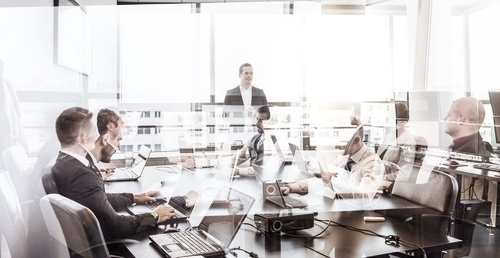 Perhaps one of the most significant B2B marketing challenges any team or brand faces is the act of integrating C-Suite executives and upper management. There are many reasons for this — the fact you have to craft an exclusive experience notwithstanding — but the most obvious is that they are generally busy; much busier than other team members. They are essentially a high-touch or heavily-involved type of customer that requires white-glove handling but also serves as a double-edged sword as being brought in as subject matter experts. When it comes to the C-Suite, time is remarkably valuable, so preparedness is crucial for your briefing and strategy efforts. Additionally, as a basic practice you’ll need to adhere to top-level mindfulness. What do they want? Where are they going? How much time do they have? How much time does that give you? What will win their support and attention? And so on, and so forth. Every experienced and well-traveled executive could serve as a “Subject Matter Expert” or SME for various events and discussions. Using them to this end, also provides them incentive for attending or participating at an event or client briefing. It’s juice that’s certainly worth the squeeze. We’ll set the scene with an example we can follow through to the end. To start, our subject is named Erik, and he is the senior-level executive at his company. Let’s say that organization is called OBP or Opportunistic Business Paladins. For now, we just need to know that he has some relative insight into a particular customers business and that customer is coming in for an all day meeting to learn more about ‘Opportunistics’ solutions. We want to engage Erik in several ways. We want to tap him — and his insights — for use during a prominent discussion panel as well as to sit in for Voice of Customer dialog. Step one is preparedness. We need to be ready and prepared to brief Erik of the client, the representatives, their issues etc. so that he is fully prepared for the topic of conversation before he steps foot into the room. Erik, or any executive for that matter, exhibits the following traits and requirements. Short on Time: The nature of their business is time-management. They must accurately and efficiently divide their time, attention and resources to meet the needs of goings-on around them. This doesn’t just include their business operations and regular duties, it also involves how they interact with the world around them. They find and honor processes and engagements that are quick, punctual, and precise. Always Multitasking: Part of that optimal time-management involves being able to multitask like a boss. You better believe executives and upper-level employees are constantly working on new ways to multitask which includes new tools and opportunities that would afford them better efficiency. Always On-the-Go: Executives are always on the move even when they’re not. Mobile helps them experience and engage with the outside world in portable chunks and moments, exactly when they are ready. They’re Open to Opportunity: Executives — especially busy ones — are always open to the idea of adopting new processes, strategies or tools provided they are more efficient than the current setup. While this is not the same as always being open to change, it’s something you can leverage in your planning efforts, provided you do things right. Knowing these elements is crucial to your preparedness, and the design of your future engagements and campaigns. Executives are short on time, always on-the-go, and they value bite-sized yet precise moments that afford maximum value. Your goal is to deliver something that touches upon all these traits, yet also draws in potential customers by extending the same type of awareness and opportunities for engagement. You’d be forgiven for thinking executives and subject matter experts are the same. They are, but they’re not. What sets them apart is not the type of people they are — nearly all executives can serve as exceptional subject matter experts — but the engagements and experiences you craft. Furthermore, people can fill both roles. At certain stages of an event or attendance one executive could be just that — a customer and exec — while at another point in time they are considered a SME. This makes things a bit confusing when building and deploying modern experiences, especially in the EBC. For all intents and purposes, Erik — our example — is both an executive and an SME. We want to tap into both personalities, so to speak. So, when preparing a meeting or discussion for our SME persona there are additional traits or requirements to consider. Well before arrival — and certainly before participation — SMEs need the context of the discussion laid out for them. What is the topic, and what angle will the discussion be taking? Are there any other experts participating, and will there be a general debate? Who’s in the audience and are there any influential or important contacts to be aware of? It’s difficult to see at times, but this information can help and promote participation as opposed to eliminating it. Executives need to understand that the time they are using is not just valuable, but effective. They simply will not participate in a discussion or event if it turns out to be a big waste of their time, and they’ve become incredibly effective at identifying this before stepping foot on a stage or in a conference room. Erik wants to know how his participation, the content in use, and how his current interactions are going to be rolled back into his company — OBP. One of the best ways to grab their attention is to be prepared; it’s that preparedness we talked about. Tell them exactly what they need to know, how that applies to them and their situation, and what they can expect to come from it. Executives are a very demanding people, and for good reason. It’s how they achieved success, and it’s how they get anything done in the current landscape. They must make demands to honor their scheduling and investment needs. Find out what it is your contacts need and expect before it comes time to serve them. Would they prefer to speak to a smaller, more intimate audience? Are they okay speaking in a large hall or auditorium? Are there certain contacts they won’t work with, and how does this affect their presentation? You must remember, SMEs — not all, but most — are executives too, which means they exhibit the traits of said professional. They are always busy, always on-the-go, and always moving. This means they are in and out of customer meetings, various discussions, and have multiple engagements planned. They’re lucky when their entire schedule isn’t full, honestly. You need to be mindful of this, and plan or design an approach that accommodates their schedule and also provides relevant information in a mobile minute. It goes without saying, but in a professional environment it helps to have any and all information at the ready for those involved. This means that SMEs require access to content and documents in use during a discussion or event. There are many reasons for this. They might prepare their own talks or presentation on the content involved. They may respond to various points or statistics presented in the content. Or, maybe they have their own data to contribute. It’s easy to look at executives and SMEs as all-encompassing, all-knowing individuals who have a full and complete grasp of a market. That’s not always the case, however. It’s important to understand not just where their strengths lie, but also their faults. An IBM Institute for Business Value study — called The Experience Revolution — reveals that there’s a huge disconnect between what executives cite or believe is important to their customers and what is actually cared about most by them. If you are in a position to enlighten or influence them in some way, that’s a huge opportunity for you. In the end, leveraging executives and working with them as customers is remarkably similar. Although there are varying traits and requirements, your own processes should be consistent and effective. That means honing your campaign so that it offers absolute and top-level engagements. Executives require a bit of extra attention and care. Your goal is not just to go the extra mile for them, but to ensure what you do offer is highly effective and relevant. From an executive perspective… show me the information you want me to know… don’t make me dig for it. And… while we’re at it, can it all be stored in one location?! Knowing all this, the primary question for executive handling then becomes not where or when but how to collaborate? What is the best way to make it happen, and how can you honor and make proper use of their time and yours? The answer is mobile. By keeping it mobile you adhere to several of the traits discussed, while offering a highly effective and capable solution. Let’s look at the facts. Erik is a busy man, always on-the-go with little to no time to devote to excess. He favors mobility above-all, thanks to bite-sized experiences and engagements right when he’s ready. You could say mobile was designed with this in mind, because, well… it was. And that’s why mobile adoption rates are soaring. The global mobile workforce is estimated to reach $1.75 billion by 2020, which will account for 42 percent of the entire global workforce. Mobile devices — at least when the experiences are designed properly — offer accessible, highly-efficient platforms. More importantly, they are available from anywhere, anytime. It’s always-on access that can be leveraging in the early hours of the morning or the late hours of the evening, and all throughout the workday. Being effective on mobile is more about getting the right information, in the right format, in front of the right people, at the right time and in the right place. Phew, lots of “rights” there. But that’s also the beauty of mobile, there’s enough information, features and tools to make sure it happens. You can deliver a highly-personalized experience or content platform to move opportunities forward. As a bonus, everything comes with additional data and insights. Through normal usage you are essentially collecting customer insights about their habits, experiences and activities. This allows you to move beyond basic, segmented targeting and towards operational systems that provide boatloads of information and insights. While mobile is the single, most important answer it’s not the only way you should structure your programs and campaigns. Ideally, you need to develop a cross-functional program that works with all mediums and opportunities. Yes, it is absolutely possible to do this in a way that incorporates mobile and extends beyond to alternate mediums and channels. What this does is give your SMEs, sales professionals and internal teams the ability to understand and see where customers are at. You can see what part of the journey they are experiencing, where they’ve been previously, and how that fits into the overall picture.